Three Cliche Hypnosis Marketing Images That are Killing Your Business! Ready for a new year of Hypnosis Marketing Blogs? Today’s topic sprung to mind because I am currently working with some hypnotherapists on creating new websites. Following their mentoring sessions I asked them to come up with some images and looks for their new websites. What soon became apparant is that the same images were coming up again and again and they weren’t even that great. The images are what I would class as hypnotherapy website cliches that are actively putting off some clients booking sessions with you. And just to repeat what I have said. Therapists are choosing images that actually repel customers! So lets start with the butterflies, or tree metaphors or even pebbles in the sand (I was guilty of that one in my very first website). These images are off putting to 50% of your customers – Men! How many men do you know that want to visit a tree hugging, airy fairy hypnotherapist? How many men love a pink website with pretty images and new age themes? The answer is of course almost none. 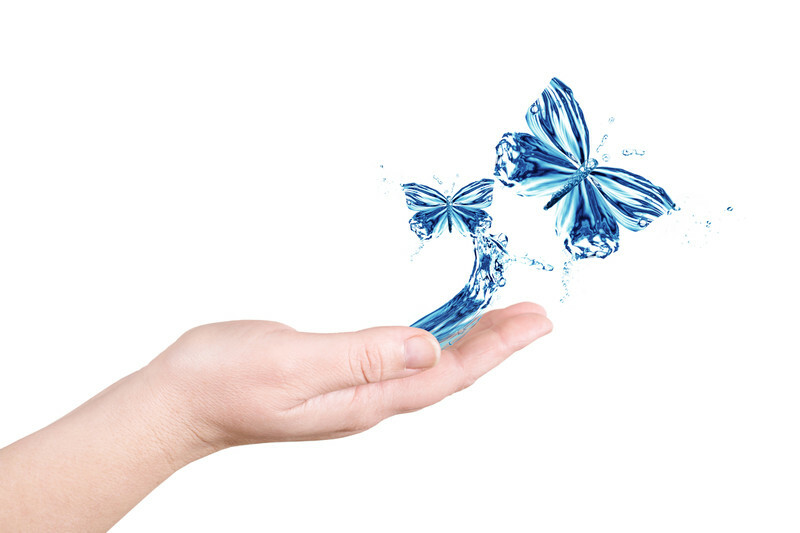 When a man visits a website for a therapy that they don’t really know very much about they want to feel reassured that the person is a professional and can help them solve their anxiety, erectile dysfunction, depression etc… Pink writing and butterflies is going to make them run the other way. Now of course if your hypnosis website has been specifically designed to attract new age women who want past life regression then brilliant if not then get back to the drawing board! Now on to image two. 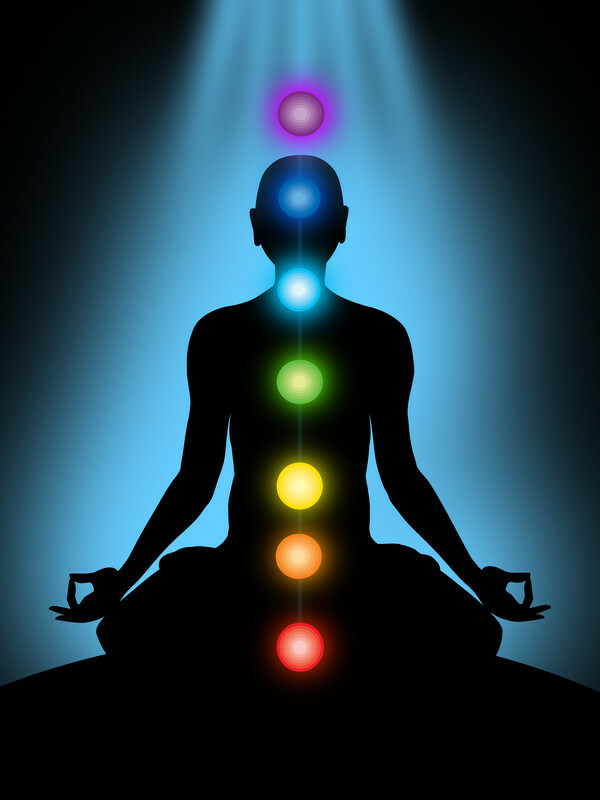 In this case I have chosen a picture relating to chakras but it could be related to Reiki, Crystal healing or any manner of other alternative therapies that are out there. Time and time again I see hypnotherapists who mix up the therapies that are on their site. Now only do they mention their hypnosis skills but also some of the more esoteric treatments that they offer. Remember most of the general public are suspicious of hypnosis and have to pluck up the courage to pick up the phone. When a potential client comes across a site that looks like it might be “out there” they are likely to look for someone else. This is when your skills or knowledge actively serve as a repellant! 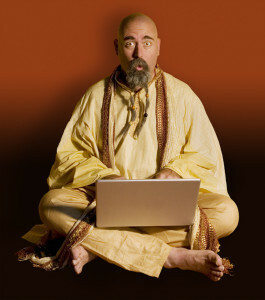 Of course if you are a counsellor or psychotherapist add it to your website but if you read auras create another site. 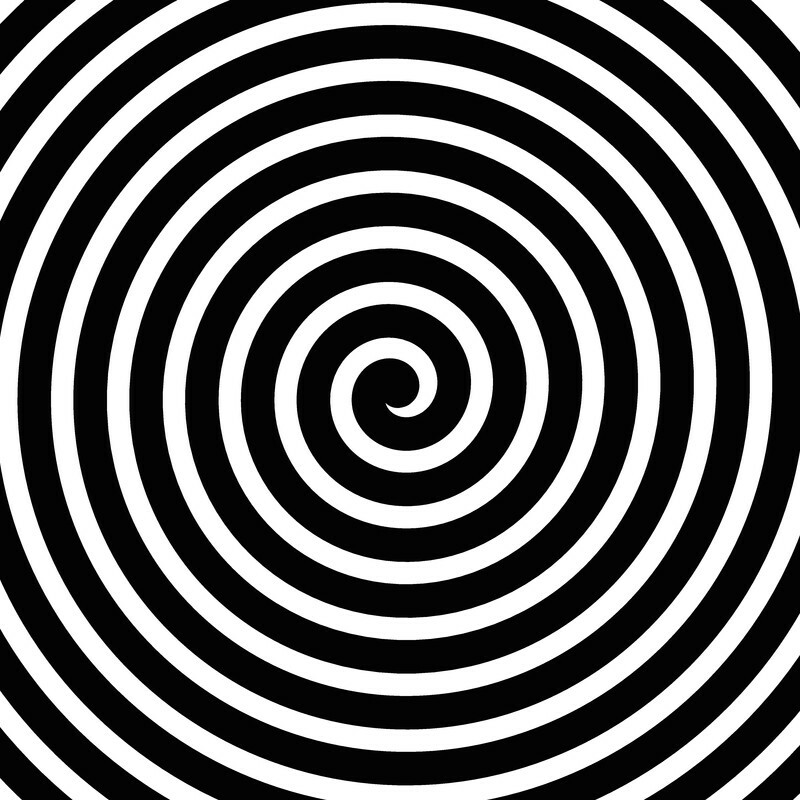 Finally the last image is of the famous hypnotic spiral. I have also seen therapists use pictures of watches swinging on their websites. These images are associated with old school visions of hypnotherapists as svengali’s who control peoples minds. If you are running a stage hypnosis act then perfect but if you are trying to reassure potential customers that you are the real deal then these are not going to work. 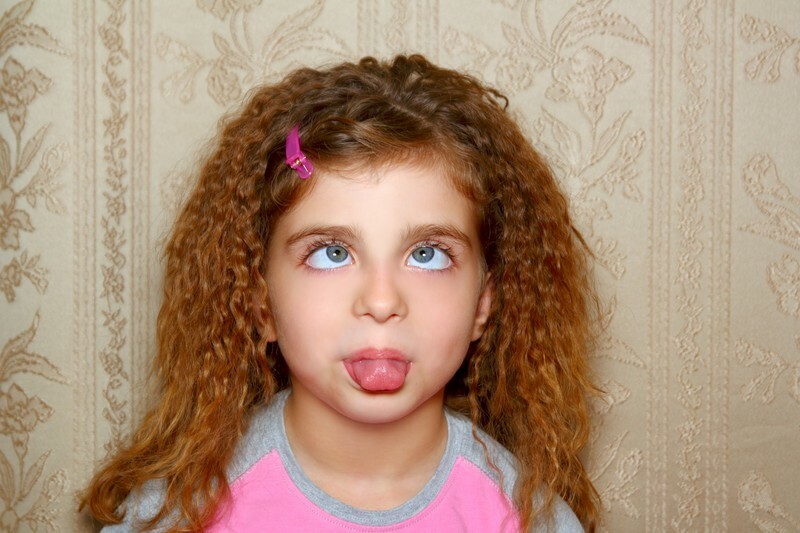 So What Image Should You Have for Your Hypnosis Website? I have read a number of times advice saying that if a Doctor wouldn’t want it on their website they don’t have it. Now of course whilst this advice is mostly sound you can be a little bit more experimental. Some of the most successful hypnotherapists, life coaches and therapists in the industry today keep it simple. Their sites are professional with perhaps a very photo shopped image of themselves on it and banners with links to their media appearances, testimonials or success stories. The colours on their site may pop but are clean and modern. Look at this website by Marie Forleo as a perfect example of how a modern life coach has created a website which potential customers subscribe to in droves. Now of course not everyone has the budget to create something like this straight away but with a little bit of creative work a stock website does not have to look like the person who runs it lives in Glastonbury! Following a very long holiday in December I am continuing to work on building my web prescence in my new local area. After only a few short months I am already starting to move up the Google rankings to dominate certain searches. Want hypnotherapy for bulima or binge eating in my local area? Then I am number one and two in the searches. Fear of Driving? Number one again. Fear of Public Speaking then 6, 7, 8 and 9. Sleep hypnosis? Number two and a video appearing at number five. I could go on. Bit by bit I am dominating the long tail keyword searches in a forty mile radius of my clinic. By creating a website which is well structured for SEO and then creating further content in other areas on the internet as well as building backlinks I am ranking highly in the search engines. If I continue to do this then I will be the dominant website on hypnosis locally. Only one other hypnotherapist in this area is close to achieving these results and they have been working in the area for six years longer than me! I mention these results not to brag but to show what with a systematic approach to marketing and a reasonable amount of website and SEO knowledge amazing results can be achieved. I show my therapy marketing clients exactly how to achieve results like these and more. This knowledge can turn a failing business into one that is thriving. Don’t let your lack of marketing skills hold you back. Hypnotherapy marketing is not as difficult as you may think when you have someone to help. If you are wondering why you haven’t had any emails for the past six weeks it is because I have moved house. That has of course created upheaval, mess, tradesman and a never ending list of things to do to get the new house into some sort of liveable condition. Whilst this has been going on of course it also means that I have moved my business as well. This is a bigger issue because the area where I have moved to has no clue about my skills, I have no referrals to boost my income and I have no search engine rankings locally. That means I am having to start all over again putting my in a similar position to a new Hypnotherapist. So the next series of blog posts are going to be about I begin to dominate the local area and rebuild a thriving practice. You can also read my previous blog post on what makes a hypnotherapy business portable. But before I begin I had one piece of great news this week. A contribution I made to an article on Nail Biting Hypnosis was finally published in The Daily Mail this week. When I say finally I should point out that I actually gave the interview to this journalist nearly two years ago. I would have missed the story completely (most journalists don’t bother to contact you to say when you will appear in the press) if it had not popped up on my husbands news feed on LinkedIn. It is worth noting that just because you are interviewed by a journalist it does not mean that you will instantly get a story in the press and it almost certainly can be parked for a long time before publication. Now I should point out that having a mention in the National press does not necessarily lead to a stream of nail biting clients ringing for help. If you want that kind of exposure then the story would really need to involve an issue such as weight loss or your face over a major news story.on television. What this story does do is make me more credible for my hypnotherapy marketing. I can now happily add the words as seen in The Daily Mail on my website as well as adding their logo to my front website page and in the media section of the site. That means when people come across my site and have to choose between a therapist with a low grade website and myself they are more likely to pick the hypnotherapist who has appeared in many of the national newspapers and demonstrates expertise. Anyway back to the real issue which is how to get clients when you are just starting your business or have moved to a new area. Well I always start in one place and that is getting a website up and running. Now because of the house move I actually did something that I don’t do very often and that was hand the setting up of the website to a SEO and website building expert. Big mistake! Why? Because despite this person having all the credentials and knowledge to create a fantastic site to dominate my local area they have not as yet delivered. This is despite the brief having been given to the company concerned back in June! Luckily I have set up a considerable number of my own websites before and at the last minute I have had to create a website myself to get some exposure. This means that I am at least three months behind in my marketing plans which is far from ideal. I have written previous posts on not putting all your eggs in one basket as well as staying in control of anything you own or produce and I still stand by that. If it were not for my web knowledge I would be feeling stranded right now. This is why I still suggest that any Hypnotherapist who is starting out takes the time to learn how to get a website up and running. No it does not have to be an all singing all dancing website but it does have to do the basics which is tell people where you are and what you do. Having these marketing skills will be a great back up to you if you should ever need them. Being found in the local search engines is the one major thing that you need to work on when you start up in an area for business. There is no point writing a fantastic website if it makes no use of keywords and nobody knows where to find you. At the moment this is my number one task and I am afraid it takes time. Your content needs to be original, you need plenty of it and then you need to structure your website in such a way that Google wants to place you on its front page (ideally in the top three organic rankings). This takes a methodical approach, knowledge and the ability to write quickly. Currently three weeks after getting my website up and running I have front page rankings for 17 locations in my area and one number one spot. For more competitive locations I am generally appearing on page two of Google despite the fact that my actual location is not in that area. The next month will be spent boosting those rankings to the front page. Note I do not market in one small area and make sure that the radius I cover is at least 30 miles wide. Do not forget location specific keywords are not the be all and end all of getting business. So if you are a Hypnotherapist in London and trying to rank for the front page of Google you are going to need a couple of years at the very least to get to that spot. That means you need to target long tail keywords instead. That means phrases of three or more words which will help you get found. If you were not aware nearly 50% of searches placed into the Google search engine are brand new and have never been searched for before. Such as “hypnotherapy in London to help migraines” , hypnosis to stop my IBS flare ups” and so on. Concentrate on targeting the long tail and business will eventually start coming your way. I know that apart form my keyword phrases for locations I have 21 top five rankings already for my weight loss keywords in those areas. In some places in fact I dominate the front page. Over the coming months I will use the same tactics to corner other niches that I specialise in. I expect that my big push into my new location will now happen in the New Year as business for most Hypnotherapists starts to wane in December which is not that far away. I will be also be on holiday that month but I will look forward to sharing with you some of the other tactics I am using to build my face to face hypnotherapy business over the coming blog posts. Remember if you need help structuring website content so that it converts or want help with your hypnotherapy marketing I offer coaching and mentoring programs. The proof of my abilities as you can see is written in black and white in the National Press this week (or colour if you go on to The Daily Mail website). Today’s post is all about the issues that may be impacting your website performance and ultimately how these can push your website down the rankings super fast. Just because you hired a web developer to create your website does not mean that everything about your website is going to be working perfectly. Many web developers do not understand SEO and that means that their design can impact the way your site performs in the search engines. Then when you start adding content to your site it is very simple for you to make simple errors which could see your site being penalised and your hypnotherapy marketing ruined. Here are some simple things for you to consider when building and designing your site. 1) Mobile Usability – If you have not seen my previous blog post on this subject I suggest you read it to find out why having a mobile responsive website is hugely important. 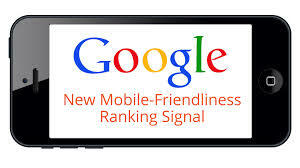 Websites that are not mobile friendly are actively penalised in Google. This is because Google wants to give its search engine users a great experience and if they are landing on a site that does not look good on their tablet or phone then they will click elsewhere. It appears that Bing will also be launching a similar penalty very soon. Paying for an upgrade to a mobile responsive website is now absolutely essential if you are serious about hypnotherapy marketing and building a great business. 2) Duplicate Content – This means that you cannot write content for web page and then copy and paste that content to another page and change a couple of words. It also means that you cannot write something on your website and then copy and paste that information somewhere else on the web such as on a guest blog post or article submission site. When Google is faced with two identical sets of information it does not know which version to trust or which should be placed in the search engine rankings first. Ultimately when faced with this dilemma it makes a simple decision to penalise you and place the content down the rankings. 3) Keyword Stuffing – So you want to appear high in the search engine rankings for the keyword hypnotherapy Birmingham. In order to achieve that goal you write those keywords multiple times on your first page and throughout your other web pages. This makes your posts virtually unreadable and is classed as a black hat technique by Google. As a general rule try and make sure that your keyword is used no more than 2-5% in your content. 4) Speed of Your Website – How fast your website loads is now a ranking factor. Nobody has the time or patience to wait ages while an old website slowly loads. You can read about what Google thinks about website speed in their Google blog.To test how well your website is performing then you can try a speed test on your website. Google PageSpeed Insights allows you to enter in the url of your website and analyses how quickly it responds. Once the analysis is complete it will tell you what changes need to be made to your website in order to improve performance. 5) Guest Blogging – Once upon a time you could quite happily write blogs on other peoples websites and place links within them leading back to your website. Writing a significant number of these could boost your rankings significantly but not anymore. Mat Cutts from Google announced that this form of SEO is now considered as spam and that from now on people doing it could expect to be penalised. You have been warned! 6) Geographic Location of Hosting Account – For those of you who don’t know about hosting there are companies out there who allow your website access to the web by placing your site on their servers for a fee. If you have a web developer they will have signed you up to a hosting account which you generally pay for monthly or yearly. What you may not know is that if your website is a .co.uk and your hosting is in The States you will find that your site is likely to be penalised in the rankings. As a general rule of thumb make sure that your hosting account is based in the country where your website is. 7) Low Quality Pages – So many therapists are guilty of this crime. They place up a web page with a picture and write two sentences about their product and that is it. Your website content needs to be useful and relevant to the people reading it if not Google will penalise you and your competitors will leap ahead of you in the rankings. Get your hypnotherapy marketing right and create quality content for your site instead. 8) Technical Issues – Ever used Google webmaster tools? If not sign up and add your website. It is a great resource and will flag errors appearing in your site. These technical issues may be preventing you from getting a higher ranking in the search engines. Don’t sit in ignorance and these errors will ultimately cost you money. 9) Fancy Web Design – So you hired a web designer to create you an all singing all dancing website. You have a video loading when people login or you have pictures that fade in and out or use flash on your site. Well don’t because the search engines don’t like it. They want a fast responsive website that can be read easily. If you have too much going on it slows down your site and can’t be accessed properly by the Google bots. If it doubt keep your website nice and simple. 10) Optimising Media– It is great sometimes to put images or videos on your website but have they been optimised so that they don’t impact your sites loading time. There is a line to be drawn between putting media on to your site and being penalised because your site takes too long to load. For more interesting tips and tricks to increase your hypnotherapy marketing success you can buy my hypnotherapy marketing eBook online today. Don’t let marketing ignorance prevent you from building the business and income you deserve. 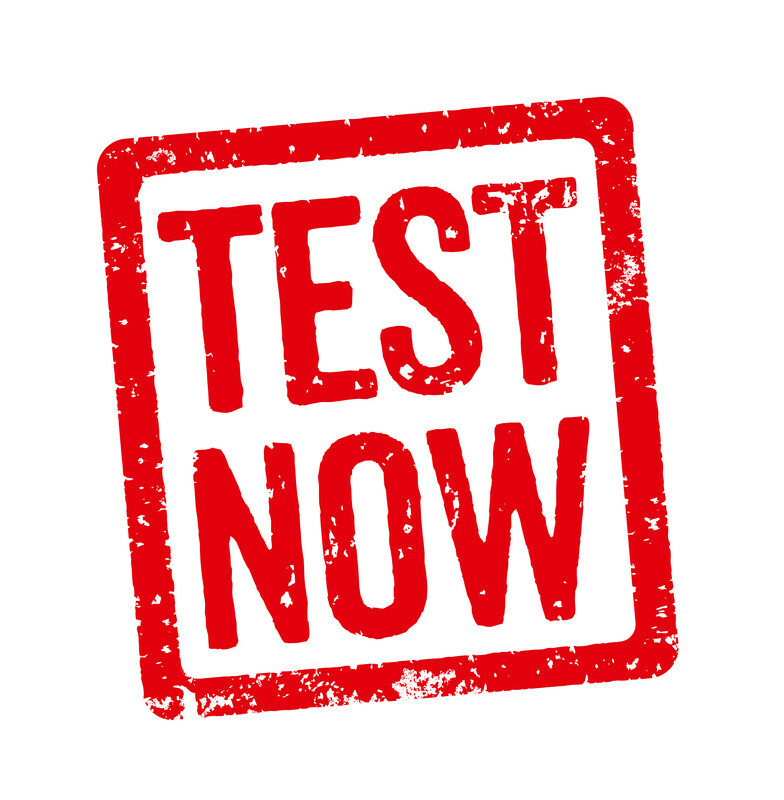 Testing Testing – Is Your Hypnosis Marketing Up to Scratch? When was the last time you had a look at your website? Not a quick glance but a long hard look at what elements are working well and what elements need some changes. We often need to take a step back to really take in an overview of our creations or if possible get somebody else to look at our websites with fresh eyes. Why? Because when your website isn’t working well this is the first thing that your clients will pick up on and it could send them running to someone else. Your website is often the first way that people learn about you and if yours is not up to scratch you are to blame for negative hypnosis marketing. 1) Spelling – If I were to log in to a website and see that there was awful grammar and dreadful spelling it would send me running for the hills. This is such a simple thing to rectify. Run your pages through a spellchecker. Pay someone to proof read your content. Get it right first time. 2) Broken Links – How many of you have links to internal and external pages that simply are not working? Take the time to go through each of your links to make sure that everything is up to scratch. If they lead to nowhere get them fixed. 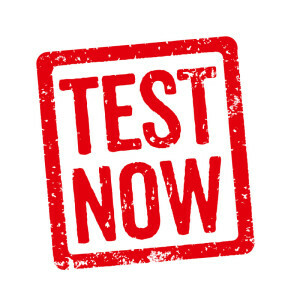 3) Contact Me – Regularly test your contact form on your site. I lost a few days worth of clients not long ago because my server was full. If I had sent out a test email to myself I would have picked it up straight away. 4) Products – If you sell products are your customers able to buy them? On more than one occasion I have lost sales because of problems with my downloads. You can easily make some test purchases to make sure that everything is working ok.
5) Responsiveness – How responsive is your website? In other words if I were to look at your website on a tablet, phone or computer would it look the same or would elements in the website be missing, squashed or out of alignment? When you are doing your hypnosis marketing you need to step into the shoes of your customers. If they are seeing a mess of a website because they are using a different system to you then it needs to be fixed. If you website is not mobile responsive expect to be penalised in the search engines. 6) Simplicity – As the saying goes “keep it simple stupid”! Are you actually getting your message across to your customers or have you written content that is too wordy, complex or unintelligible for your readers? Does your website have flashing images or annoying music when you log in? If it does then it is time to drop it. Have you put a god awful video of yourself on the front page which looks shabby and unprofessional? If you can’t read like a newsreader and don’t look professional and engaging then leave the video out. It will only have your customers running for the hills. 7) Long Load Times – How quickly does your website appear when somebody clicks on it. Generally the faster the better. Google penalises sites that do not load quickly. All of these issues are easy and simple to fix and will make a big difference to your hypnosis marketing. Remember websites should be reviewed and updated regularly with fresh content. Google loves new material placed on your website and so do your customers as well. Take the time today to review your site and think about what you can do to make it more user friendly for your clients. If you are not confident doing it yourself I conduct website review sessions with my clients. Not only will I look at some of the elements above I will tell you how to write more successful copy that converts browsers into buyers. 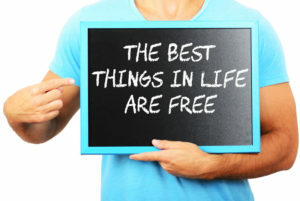 Build Your Hypnotherapy Practice on a Shoestring- The Best Things in Life Are Free! Whilst in some areas you have to speculate to accumulate I believe that when it comes to Hypnotherapy Marketing some of the best ways of getting clients cost absolutely nothing. Now I know that this is of huge importance for many therapists especially those who are starting out because they simply don’t have the money to throw around on large marketing campaigns. I like my students to keep their hands in their pockets where possible as throwing money at something does not actually mean that you are going to get a return. I know that many therapists simply believe that this isn’t true but some of my best financial returns have cost me very little. For example how many of you have spent hundreds if not over a thousand pounds/dollars on a website created by a developer? My guess is that most therapists believe they are not capable of getting something up on line so they pay someone to do it for them. Well the news is that in 2015 you don’t need any huge web development knowledge to get a website up and running. In fact with many of the online website creators you could get a very basic website up and ready online within an hour. Even better many of these websites will cost you less than a couple of cups of coffee. You simply need to buy a domain name and you are good to go. Now I can hear many of you thinking that surely it must be difficult to get something up online but the reality is that with the internet anything is possible if you apply yourself. For example this website that you are looking at this blog on was created by me on the WordPress platform. This admittedly took me longer than an hour but I have built plenty of other websites on other platforms which consist of drag and drop templates. All you have to do is add the copy and suddenly you have a website that looks sleek and polished for peanuts. You can also change the elements in the website within minutes so if you want to add a new page or change wording on a page it can be done instantly. Those of you with developer websites know that getting someone else to do these things for you will cost you $$$$$! Don’t know where to start even when you see a simple web design template? Simple, head on over to YouTube there are plenty of people online showing you exactly how to construct a website on just about every platform you can think of. Many of these are step by step guides which means that you can do a little at a time and build your confidence. When you build your own website on a platform such as WordPress it has other advantages. You are now in control of every aspect of the site and that means that if you want it to have additional features you can add them for no cost. Most WordPress plugins cost you nothing at all. It also means that you don’t have to turn to a developer every time you need to make a little change. Getting to grips with the basics is really important and can save you thousands over your career. If you want a little extra help then I offer advice on what elements a website needs to have in order to be a success. 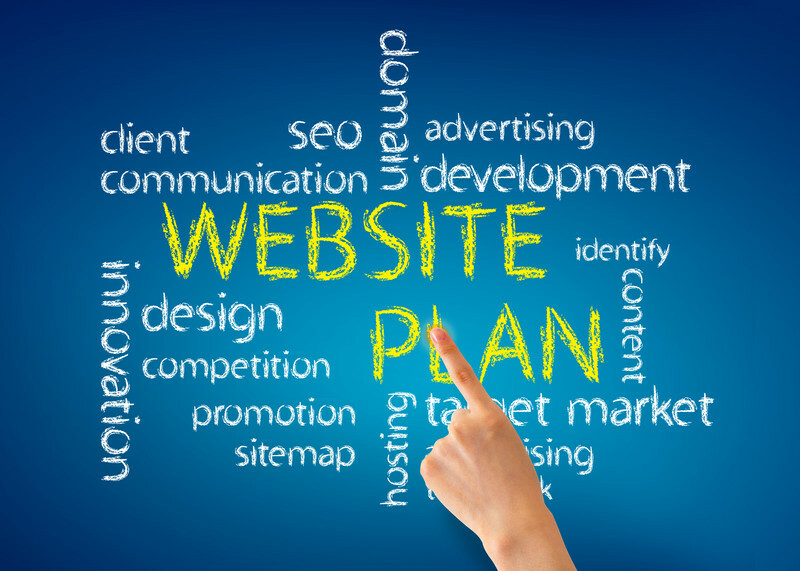 Creating your own website is just the start of setting up your business on a shoestring budget. In fact you can get your business of the ground for virtually nothing. For example a great way to get clients is through networking. I have never spent a penny on conventional networking groups in fact most of my contacts I met online. I show people in my classes how Social Media can increase your business without you ever meeting the person who is referring people to you. I save money on my hypnotherapy marketing by not leafleting, not paying for directories or listings on local websites. 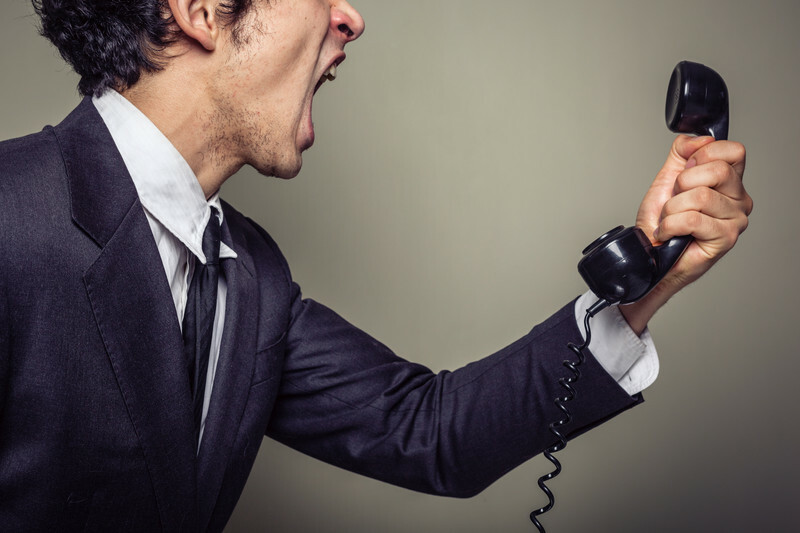 If a salesperson rings me on the phone they are ignored because I simply do not need their services. I don’t advertise on gym videos, on doctors cards, in local magazines or papers. In fact I am cheap and you can be as well. The only thing I do spend money on is improving my marketing skills whether that is online courses or books to improve my profits and revenue or on paid online advertising in only a few key areas. This is the complete opposite of what I used to do. When I started out I threw money at all kinds of possible advertising schemes and I can tell you that almost none of them worked. So Why Pay for Me? People may ask why then should I pay for your business advise if you are telling me that the best things are free? Well firstly my job is to save you money in the long term. My six monthly marketing and mentoring sessions cost the same as one extra client. I can guarantee you that if you follow my marketing and mentoring advice you will make that money back ten times over in those first six months providing you follow my advice. Work regularly with the media including companies such as the BBC and the UK Press. In just a few short years I have gone from nothing to a thriving business and you can as well. For more details about my Hypnotherapy Marketing and Mentoring programs or even my eBooks simply send me an email or give me a call and let me tell you how I can transform your business for the price of one client. Marketing a Hypnotherapy Practice Without Mentioning your Guru! I am always fascinated by other peoples websites and how they use them to sell their products and services and drive customers to their sites. I especially interested in their home pages as that sets the tone for the rest of their website. Now I seek out these websites because I want to see what my competition is doing. If I see them doing something innovative or interesting then I may follow their lead on my own sites. I love to learn from others. What I usually come across however is people making a fundamental mistake of marketing and that is not putting themselves in their customers shoes. Today I will share that mistake with you and show you how marketing a hypnotherapy practice can be done without mentioning your guru! So what is this mistake? Wasting valuable front page website space writing paragraphs on who they trained with and the lofty institutes which gave them their qualifications. More often that not there will be links to their training schools or gurus and even pictures of them on their front page. Now whilst that is great advertising for your mentors and trainers it is absolutely useless for you. Firstly marketing a hypnotherapy practice by referring to a person only known in the hypnosis world is totally pointless. In the UK there are really one two hypnotists that anyone knows and they are Paul McKenna and Derren Brown. Everyone else is totally meaningless to your clients and they couldn’t care less. Unless you have trained with someone who is a celebrity therapist really don’t bother wasting your time. Instead spend your time writing about what really counts and that is who you are, where you are and how you can help your clients feel better. Remember you need to put yourself in your customers shoes and give them what they want. They have no interest in who you trained with just whether you are going to solve their problem. I should add that therapists that write wordy, flowery, incomprehensible and meaningless home pages are equally at fault. Using phrases that nobody understands isn’t really going to help you get the sale. As the saying goes “Keep it simple stupid”! Secondly every time you put a link on your website you are giving publicity to someone else and that is worth something. Really think about whether you feel that the person you are mentioning deserves this free publicity. Also consider whether by mentioning this training institute or trainer you are giving your potential client the opportunity to leave your site and look at theirs. This means that they will potentially be given access to a database of other practitioners whose websites might look better than yours and you lose the business. When it takes time and effort to get traffic to your website letting your customers look elsewhere is foolhardy to say the least. When you are marketing a hypnotherapy practice you need to do everything you can to keep that person looking at your site and then contacting you for an appointment and that means keeping your bounce rate low. If you have never heard this term it is used to describe people coming across your website and only quickly viewing one page and then moving on elsewhere. By having links to other organisations on your front page you are giving people an opportunity to head elsewhere immediately. You need to try and keep those visitors on your site for as long as possible and be giving them valuable information not just one the front page but on your other pages as well. The more they hang around the more they are getting to know and trust you which means more sales. Marketing a hypnotherapy practice on a website is relatively simple when you know how but many people throw a website together without ever giving any real thought to the words and information they are using. The fact is that every single sentence, paragraph and link you place on your site needs to considered carefully. 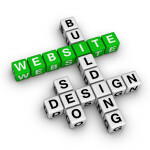 When you understand how to structure a website then it will attract more business. Make fundamental errors and you have lost your customers from the start. Want a website review to help you convert searchers into buyers? Contact me for more details on how to turn your site into a client magnet instead of a dud. Hypnosis Marketing – Your Website is Crucial! Have you ever had a situation where your practice is so busy you don’t have time to even think? Well this morning I had one of the those moments when I literally as physically unable to cope with the sheer number of calls coming in to the my practice. I know my hypnosis marketing works because I was getting call after call of potential clients ringing me up to book or ask questions about my sessions. I had deliberately booked this morning off to deal with admin and paperwork before a busy afternoon and evening with clients and the phone did not stop ringing. It was pandemonium but in a good way because it means that the business that I have created is a success and yours can be as well. I should point out that I was struggling to cope this morning even though I have hired virtual assistants to answer all my calls. My phone was forwarded to my assistants whilst I rang back potential clients who had tried to call me the evening before. As I was making my call backs I was getting more and more messages from my assistants telling me about new calls coming in. For the next three to four hours I didn’t stop. The result plenty of new bookings and revenue coming into my business for weeks and months to come . Now this morning did not happen by a fluke or by magic but because I have worked hard at creating a marketing strategy that gets me found by the people who need help. Marketing takes sustained effort over a period of weeks and months and not just a small effort once in a blue moon. To be really successful at what you do you need to have a strategy and then you need to work systematically through each of the elements in your strategy to bring in new business. Place the elements of your strategy in order of importance and when one area has been worked through start to focus on the next. Keep on adding to your list and never stop marketing because when it comes to marketing there should never be a point where you have nothing to do. I like to believe that hypnosis marketing should consist of both long and short term goals as well as marketing which can be done in short bursts during quiet points in your day. Bit by bit you are building strong foundations for your business. Create solid foundations and you have a great base for your business which can then be grown without fear of it collapsing around you. The big question is of course where to start? One of the most important elements of your business foundations is having a great website that can be found. I know that my websites constantly drive traffic and customers to be my door even though many of the people who come across these websites have never met me before. This is because each of my websites has been deliberately designed to reach my targeted market. In other words the people arriving at my website get the information they need quickly and easily about how their problem can be solved. They are told exactly what it may take to get them to their goals so that the only thing they have left to do is pick up the phone. Having a great website makes all the difference to a business. Make a great one and you will get plenty of calls and orders but get it wrong and you will drive your customers away. Many therapists sadly get it wrong and miss out on great opportunities to sell themselves and their treatments. It is not uncommon when I do website reviews to see fundamental and basic errors which prevent my clients from getting found. Get that wrong and you may as well be invisible. The list is endless as there are so many ways in which you can extend your hypnosis marketing to increase your profits. However without having great foundations you will have a problem from the start. Without the right website structure you will find that when visitors come across your website they will stay for just a second or two and then head off elsewhere. This is why I offer a website review package to help therapists create a great looking site which can bring in business time and time again. So what is included when I conduct a website review? 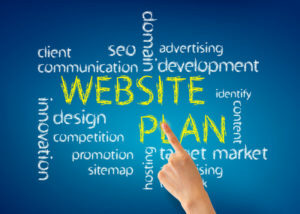 Well firstly I am happy to review an existing website or talk your through how to create the perfect site from scratch. I may not do any design work but I do work with you to create the perfect framework for you to grow your business. I analyse each existing web page and make recommendations about how those pages can be changed to bring you in more customers. I will tell you if additional pages need to be added or if you need to change your current platform. I generally conduct the review with you over a live Skype or Facetime sesson and then following the session I will send you a report with the recommended changes on it.To get full details of how I can help you with hypnosis marketing or website reviews you can email me via my contact page or alternatively give me a call on 020 8351 2744.